The sketches in Bobak’s war diary capture some of the more quieter moments in WW II army life. 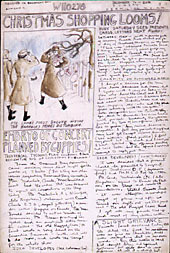 The “front page” (above) illustrates how she turned a diary into a long-lasting work of art. The large, bold headline reads: Heart-rending Scenes On Sunday. 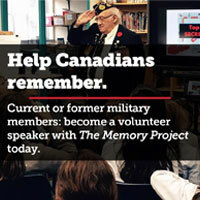 Fateful Day Brings Ghastly Parting For Lance-Corporal And Vermilion Friends. Moaning And Weeping As Train Pulls Out! While the format for this front page from 1943 resembles the design traditions of a big-city broadsheet, the hand-written news and illustration are part of a more personal daily record that has become a national art treasure. The newspaper format is maintained throughout with headlines, datelines, news flashes, letters to the editor, feature stories and even volume numbers. 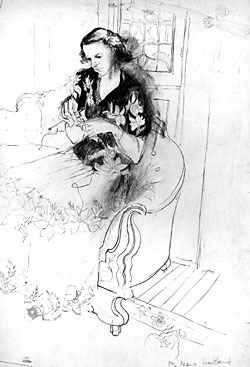 The illustrations, which are expressed in a variety of media, mostly pencil, pen, ink, watercolor and charcoal, are referred to in the text as “authentic flash pictures”. Born in 1922 at Burnaby Lake, B.C., Bobak had an early connection with Canadian artists. Her father, Harold Mortimer-Lamb, was a friend and supporter of A.Y. Jackson and Fred Varley who visited the family on occasion. 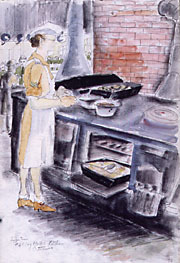 Between 1938-41 she attended the Vancouver School of Art where teacher Jack Shadbolt had a profound influence on her. When Bobak joined the services in 1942 as a private in the CWAC she was three years away from becoming a lieutenant in the Canadian Army Historical Section and the first woman to be appointed an official war artist in WW II. Prior to going overseas after the ceasefire in 1945, she did everything from mopping floors to serving in canteens to designing sets for army variety shows. Besides her war diary, Bobak has captured nature’s floral beauty in Wildflowers of Canada: Impressions and Sketches of a Field Artist. This was published in 1983 by Pagurian Press of Toronto. Double Duty was published in 1992 by Dundurn Press Ltd. of Toronto in co-operation with the National Archives of Canada.